Optima hygiene mops are durable & super absorbent. Ideal for the janitorial or healthcare contract cleaner. 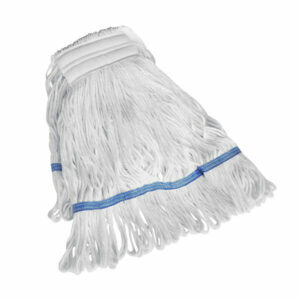 The mops have a looped end and feature a stay flat band. This allows more of the mop to remain in contact with the floor, thereby reducing cleaning times and increase productivity. 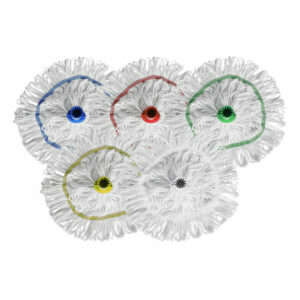 Optima hygiene RHP socket mops are durable, machine washable and super absorbent. The mops are manufactured using high quality synthetic yarns. Fitted with the 'RHP' colour coded socket which is compatible with most types of hygiene or wooden handles (including Exel). These loop ended mops with stay flat band allow more of the mop to remain in contact with the floor, reduce cleaning times and increase productivity. Optima Hygiene Kentucky mops are durable, machine washable and super absorbent. The mops are manufactured using high quality synthetic yarns. Fitted with a colour coded band to identify the area of use and to help prevent against cross contamination. These loop ended mops with stay flat band allow more of the mop to remain in contact with the floor, reduce cleaning times and increase productivity. 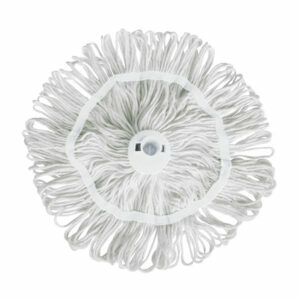 Optima hygiene socket mops are durable, machine washable and super absorbent. The mops are manufactured using high quality synthetic yarns. Fitted with a colour coded socket to help prevent against cross contamination which is also compatible with most types of hygiene handles. These loop ended mops with stay flat band allow more of the mop to remain in contact with the floor, reduce cleaning times and increase productivity.